Setting up your home network takes only a matter of minutes - simply download the free Samsung SmartCam app for iOS or Android, available on the App Store® and Google Play® to your mobile device and follow the intuitive setup wizard guide. There's no need to squint your eyes or lean in close with the SmartCam's 1080p Full HD Video. Whether you are checking if your children are playing nice in the playroom, or to make sure that grandpa is not in any trouble at home or to keep a eye on your business' stockroom, the SmartCam delivers a powerful viewing experience. The large 1/3.0-inch CMOS sensor allows maximum light through the lens - producing vivid colors, brighter video and stunning detail. 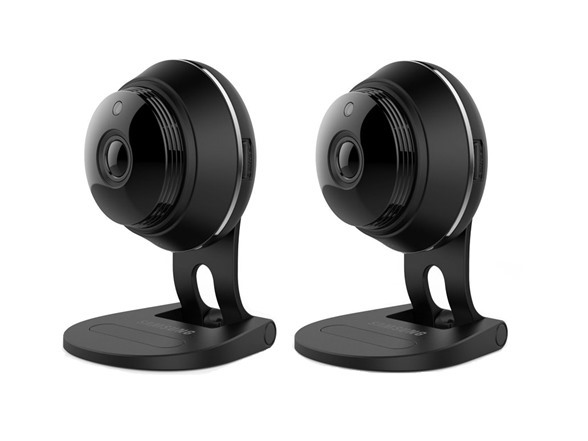 The SmartCam also supports up to five multiple viewing streams, meaning both you and your partner can check in on the house at the same time. The Samsung Two-Way Talk feature lets you hear what's going on around the camera and reply through your smartphone, no matter where you are. It's possible to soothe your child if they wake up momentarily, encourage your pet to eat from a scheduled feeder, or give your guest a quick walkthrough of where that kitchen set is. Never miss a moment at your house - be alerted through instant push notifications when your dog goes into the kitchen or when your children get home from after-school activities. The SmartCam camera's Advanced Motion & Audio Detection system recognizes that things like swaying shades, falling leaves and rain are not key events. You will only be notified of true motion events such as someone entering the room or loud incidents such as a window breaking. The Motion Zone Select feature lets you choose the areas of your home you want to be alerted to of any activity. If you know that your kids are going to be running through the house , but want to be alerted if anyone approaches from the doorways or windows of your home, simply draw a box around those regions of your screen and the camera will alert you of any activity in those areas. 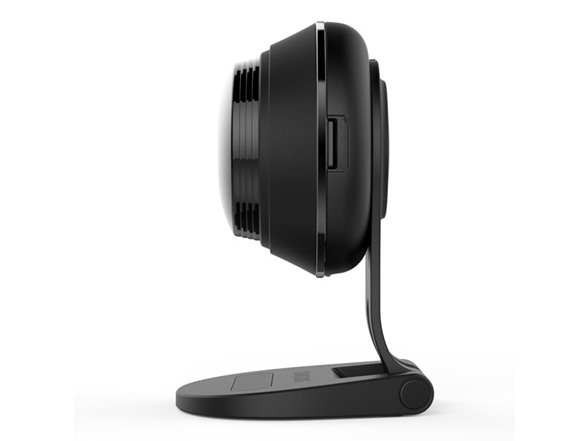 The SmartCam lets you select up to three motion zones in its field of view. Go ahead: find out who knocked over your prized china set or be alerted if your child climbs up the kitchen cabinets. Enjoy peace of mind during your vacation getaway! 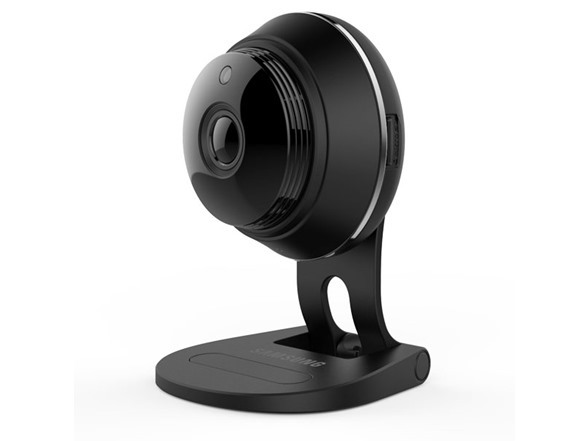 The SmartCam camera has you covered should the camera detect any motion in its zone of view or sound. 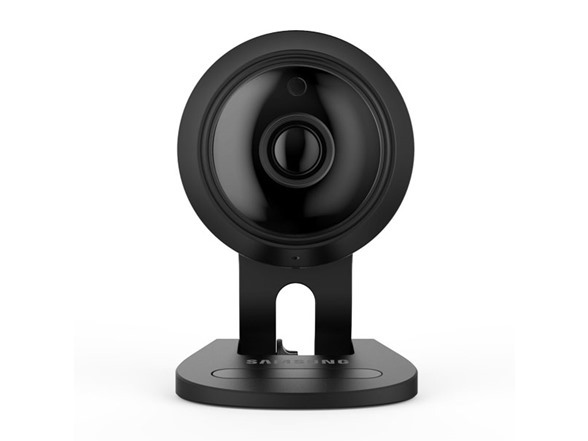 The camera will instantly send you push and e-mail notifications allowing you to monitor the occurrence in real time. Best of all, you don't have to waste time watching hours of video. You can set the SmartCam to record up to 30 seconds of footage from detected events should you require the need for later review. The SmartCam camera has you covered at all time by providing accurate, vibrant colors during the day and an advanced IR Cut Filter for night vision. Even in total darkness, the camera delivers clear video up to 32 feet. 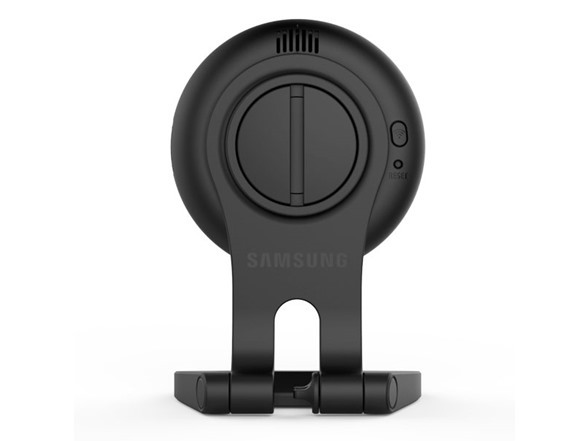 The Samsung Light Enhancer technology allows the SmartCam to emit better colored images in low light conditions. The SmartCam illuminates the dark areas in its field of vision while maintaining the quality of the brighter areas at the same time, allowing you to determine who the late night food bandit is. The SmartCam has you covered if there's a bright light behind your subjects in the camera's field of view. With the Samsung WDR technology, you will clearly see the bright smile on your child's face as she takes her baby steps towards grandma. 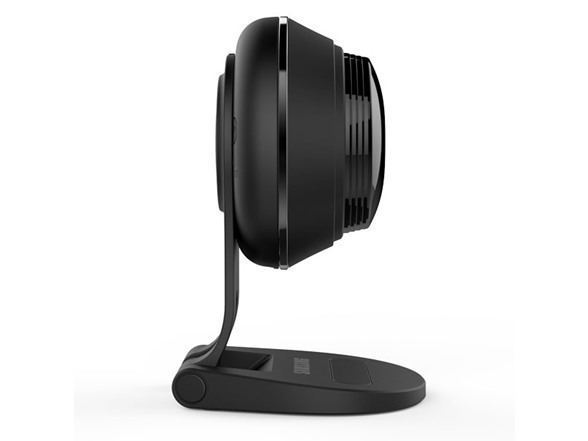 Get the whole picture with the all-new 130° ultra-wide angle lens. The SmartCam gives you a larger view than ever before. Find out which neighbor's kid that is in the corner of the playroom or find out exactly how large that spill in the kitchen is. Save important moments directly onto your SmartCam through a microSD memory card with up to 128GB capacity. The Samsung SmartCam app allows you to view your recorded footage from anywhere in the world through your mobile device. You have three recording options based on your needs or preferences: continuous, manual or record only when motion or sound events are detected in order to minimize viewing time and storage space.